One of the quieter surprises of this week’s elections took place in Denton, north Texas, pop: 123,000. The city is home to some 272 active fracking wells, with 212 additional wells within it’s extraterritorial jurisdiction, and it sits within the Barnett Shale, one of the largest natural gas fields in the nation. 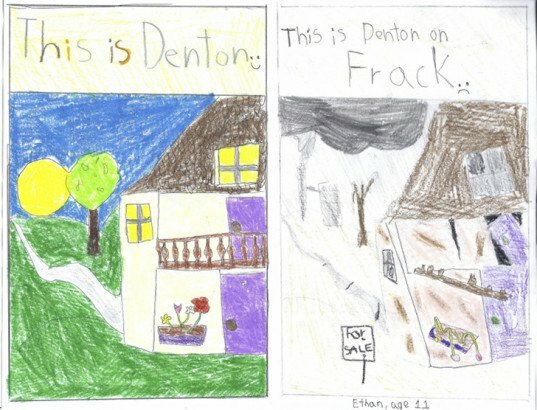 Denton invented fracking, but on Tuesday, residents voted 58.64 percent in favor of a ban on hydraulic fracturing in the city. That sound you hear? That’s the stampede of panicked oil and gas industry attorneys. Barring any injunctions, Denton’s fracking ban will come into effect on December 2, 2014. Oh, where to start...Homebuilder DR Horton likes to buy tracts of land and minerals. Then they build and sell the homes, and then you guessed it-lease the minerals. That\\\'s just one of the ways home buyers wind up with a goddamn drill rig in their backyard and a compressor station on the corner. David Porter, TRRC Chairman, whose extensive experience in oil and gas is doing their taxes for them, accused those involved with the ban initiative of conspiring with the Russians. Talk about \\\'misinformation\\\'. Porter isn\\\'t smart enough to be the Village Idiot. Prior to his landslide election (bought and paid for by Industry) there was a debate between him and then candidate Jeff Weems. Weems is a 30yr oil and gas attorney, and worked out on a Gulf oil rig to pay his way through college. Porter was asked the same questions as Weems. Weems made very good and thoughtful points, and clearly spoke from experience. Porter? Most of his responses, preceded by a long pause, more often that not, was "I don\\\'t know". That\\\'s when he responded at all. I\\\'m still not convinced he knew it was being videotaped. One of the quieter surprises of this week's elections took place in Denton, north Texas, pop: 123,000. 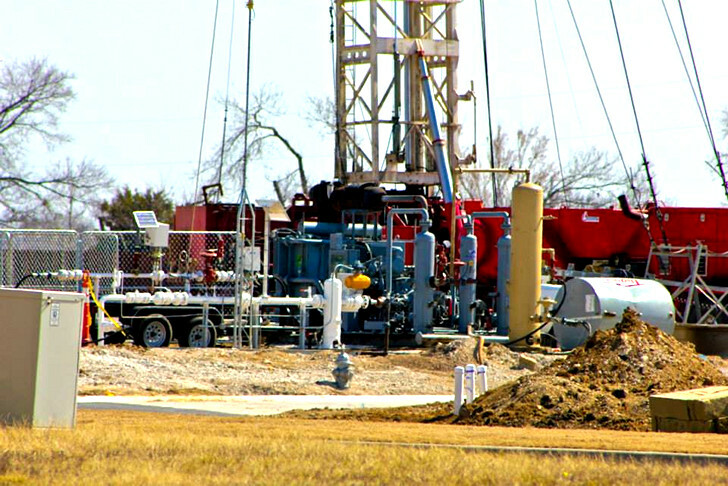 The city is home to some 272 active fracking wells, with 212 additional wells within it's extraterritorial jurisdiction, and it sits within the Barnett Shale, one of the largest natural gas fields in the nation. 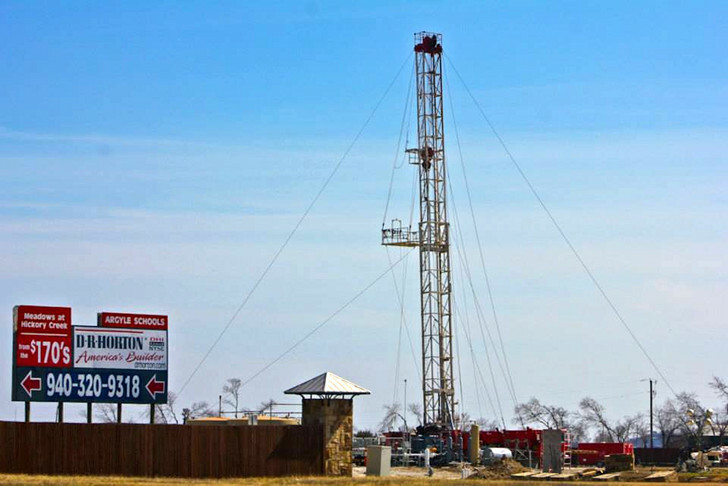 Denton invented fracking, but on Tuesday, residents voted 58.64 percent in favor of a ban on hydraulic fracturing in the city. That sound you hear? That's the stampede of panicked oil and gas industry attorneys.